Visit Mycenae and the island of Poros in one (1) day! You have the opportunity to visiGreek island of Poros.t in one day the 3500 years old ruins of the Mycenean civilization and combine it with the picturesque island of Poros. – Short photo stop at Corinth Canal. – Continue to Mycenae, the Homeric City of Atreides. – At Mycenae, walk through the Lions’ Gate, see the Cyclopean Walls, and the Royal Tombs. – Finish with your sightseeing and drive to Galatas, take the small boat, and cross over to the island of Poros. – On Poros, free time to stroll around the quay side or have lunch at a seaside Greek traditional tavern. – Departure for the return to Athens, early afternoon. According to mythology, the town was founded by Nafplios, the son of Poseidon and Anymone. 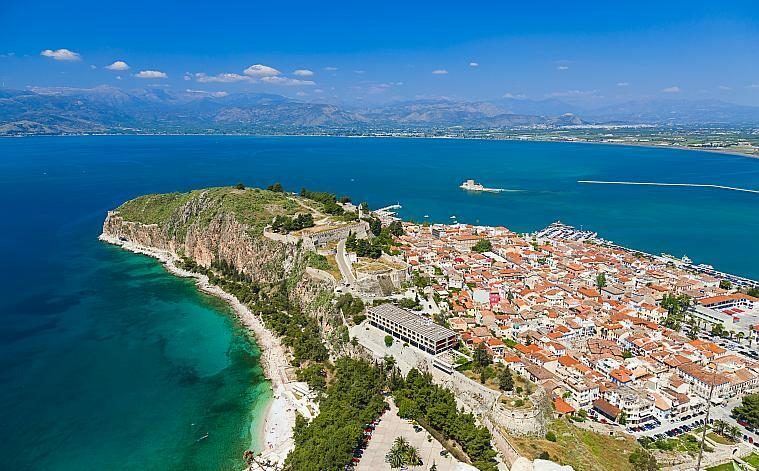 The town’s history traces back to the prehistoric era when soldiers from Nafplion participated in the Argonautic expedition and the Trojan War. The town declined during the Roman times and flourished again during the Byzantine times. Frankish, Venetian and Turkish conquerors left their sigfmature in the town and strongly influenced its culture, architecture and traditions during the centuries. Ancient walls, medieval castles, monuments and statues, Ottoman fountains and Venetian or neoclassical buildings mesmerize the visitor with their unique architecture and beauty. 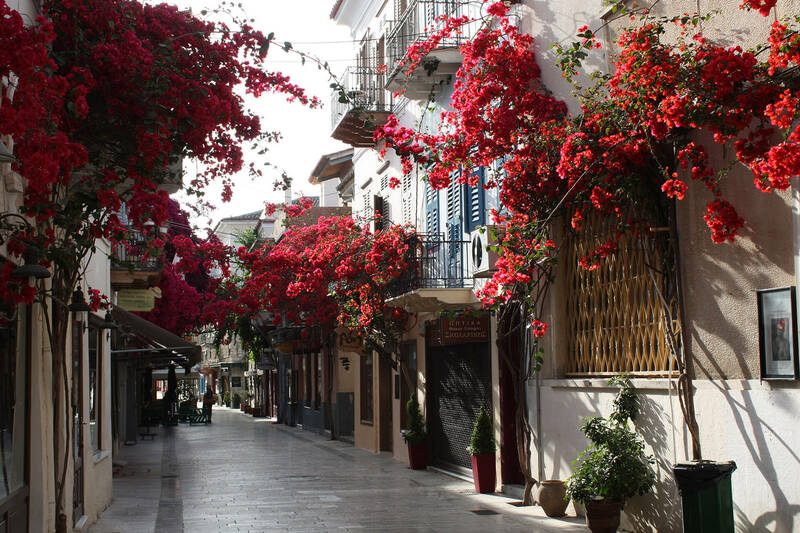 Spend an afternoon and a morning in Nafplion town. Modern architecture hasn’t spoiled the old town of Nafplion, which is a feast for the eye. 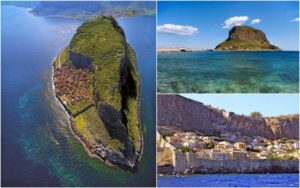 Nafplion was the capital of the liberated Greek state, after the island of Aegina but before Athens, in the early 1830s. Here, is the first residential palace for the young Bavarian Prince, Otto, the first king of the new country after the revolution against the Turks. The old town is beautiful, with old mansions and paved roads. 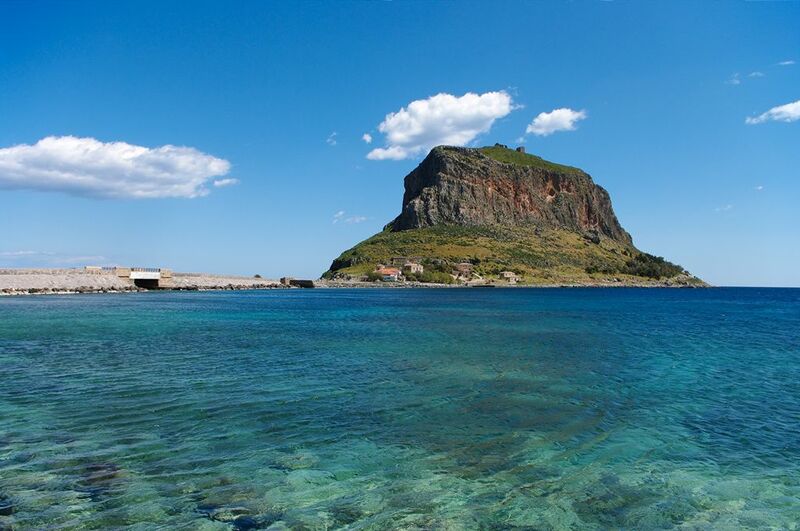 The two fortresses, the Palamidi and the Akronafplia, played a key role during the war of independence. Many restaurants, traditional Greek tavernas, cafeterias, souvenir and other fashion shops make your stay an enjoyable one. 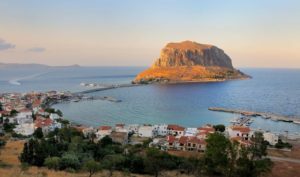 1st day: Corinth Canal – Mycenae (visit) – lunch – Nafplion, afternoon free to explore the oldtown. Overnight. 2nd day: Nafplion – Epidaurus (visit) – return to Athens. The above rates do not include the “City TAX” for hotels that is paid by the guests upon check-out: 4* hotel: 3,00 € and 3* hotel: 1,50 € per night, per room. In the footer of this website you find the “4 steps to make a booking”. If our offer sounds interesting, send us the booking form. Sparti: One of the two most powerful city-states in Classical Greece, Sparta is located in the Evrotas river valley, almost completely surrounded by mountain ranges. Unlike most of the other Greek city-states, Sparta was not a fortified city-state center with huge religious and civic buildings, but it was a loose collection of smaller villages spaced over a large rural area. Traditionally, Sparta’s founding is given at the middle of the 10th century B.C. by the Dorian Greeks. 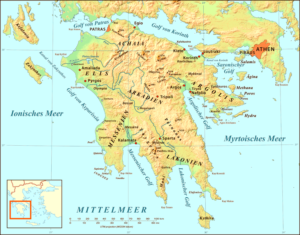 By the 7th century the warlike Spartans had conquered all of the surrounding Laconia and Messenia, and by the next century much of the remaining Peloponnese was under Spartan control. In the 5th century Sparta allied herself with Athens and other city-states in order to repulse the Persian aggressor, but soon after this the two city-states fell out, embarking on a century-long struggle for supremacy in the Peloponessian War, which ended with Spartan victory in 405 B.C. By the 4th century, however, Spartan power declined with its defeat by Thebes in 371 B.C., and, by 193 B.C., she had entirely lost her territorial possessions. Sparta thrived briefly under Roman Imperial rule, but was sacked by the Goths in 395 A.D and completely abandoned. We will visit the archeaological remains of ancient Sparta, including the 2nd century BC theatre, the sites most discernible ruin (virtually nothing remains of the ancient city). The monuments on the site have not been restored yet but there are plans in the works for this under the auspices of the European Union. Important monuments of the site include the temple of Athena Chalkoikos on the top of the acropolis ; the ancient theatre, dating from the early Imperial period, the orchestra and walls of which still stand; a circular building of unknown use, which some scholars think was some kind of assembly; remains of shops, constructed in the Roman Imperial period, which served visitors to the theater; and finally, the remains of a Basilica of the Middle Byzantine period, dated to the 10th century A.D.Mystras: Mystra enjoys one of the most beautiful situations in Greece, lying along a steep slope of Mt. Taygetos. At the top is the Kastro (fortified citadel), and on successive levels below are several Byzantine churches (most notably the Pantanassa), the Palace of the Despots, and everywhere spectacular views. Few kilometers west to the Byzantine town Mystra on the slopes of Mt. Taygetos, an impregnable fortress, built by Guillame de Villehardouin in 1249. When the Byzantines won back the Morea from the Franks, Emperor Michael VIII Palaeologus made Mystra its capital and seat of government and Mystras became the leading city of the Peloponnese. It was governed by a Byzantine Despot, usually either a son or a brother of the Emperor in Constantinople.It soon became populated by people from the surrounding plains seeking refuge from invading Slavs. From this time, until the last despot, Demetrios, surrendered it to the Turks in 1460, a despot of Morea (usually a son or brother of the ruling Byzantine emperor) lived and reigned at Mystra. Mystra declined under Turkish rule. It was captured by the Venetians in 1687 and it thrived once again with a flourishing silk industry and a population of 40,000. It was recaptured by the Turks in 1715, and from then on it was downhill all the way. It was burned by the Russians in 1770, the Albanians in 1780 and Ibrahim Pasha in 1825. Not surprisingly, at the time of Independence it was in a very sorry state, virtually abandoned and in ruins. Since the 1950s much restoration work has taken place. Once inside Nafplion Gate, the tour will see the main sites of this ancient city such as the Palace of the Despots. Kyparisia: about 40 miles southeast from Mystras, through some of the most striking and at times hair-raising scenery in Greece, to Kalamata, and from Kalamata it’s another 32 miles to Kyparissia. Kyparisia: In his “description of Greece” Pausanias describes Kyparissia in these words: “having come to Cyparissiae we see a spring below the city near the sea. They say that Dionysus made the water flow by smiting the earth with his wand; hence they name it the spring of Dionysus. There is also a sanctuary of Apollo at Kyparissae, and another of Athena surnamed Kyparissian…there is a temple of Aulonian Aesculapius and an image of him” (4.36) Today, the Spring of Dionysus can still be seen on the beach of Ai Lagoudia in Kyparissia, a town on the south-western Peloponnese, but of the temples little remains. 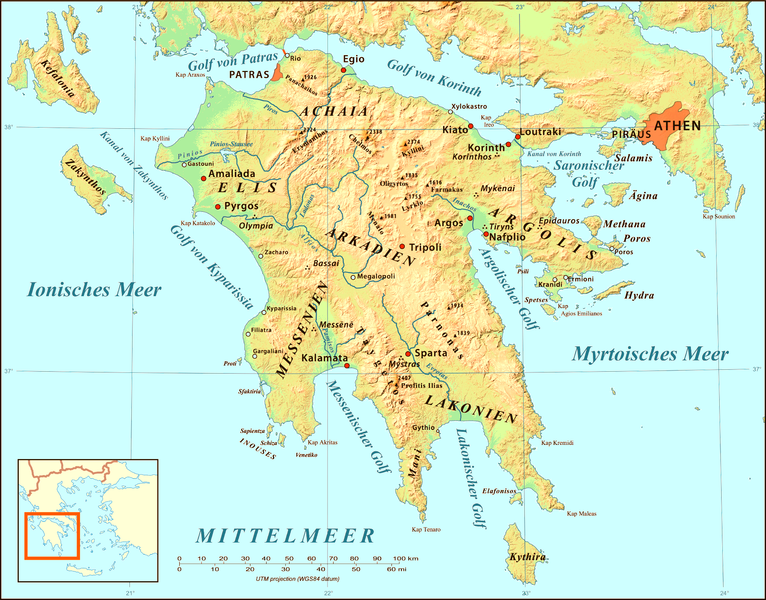 In Byzantine times Kyparissia was called Arkadia because of the Arkadian people who came to live there. The Arkadians built a massive castle on the site of the old acropolis, which was later rebuilt by the Franks. The castle and the ancient harbor are the main monuments on Kyparissia today. However, the town is a popular summer getaway because of its attractive beaches and summer festivities. Pylos: The home of Nestor, the “elder statesman” of the Greek warriors at Troy, Pylos is located on the hill of Epano Englianos, near Navarino Bay, the southwest coast of the Peloponneseus. Occupied as early as the Middle Bronze Age, the site is dominated by a monumental structure, known as Nestor’s palace, which is the best preserved of the existing Mycenean palaces. Built in the Late Bronze Age (ca.1300 B.C. ), the palace consists of 105 ground floor apartments. The most important compartments of the palace are the the big “throne room”, with its circular heath, a room with a clay bath tube, and stores with numerous storage jars. The walls of the palace were decorated with beautiful frescos. Thousands of clay tablets in Linear B script were found in the palace. (The Linear B script has been found to be based on the Greek language and was deciphered by a British archaeologist, Michael Ventris, in the 1950s).The palace was destroyed by fire in the 12th century B.C., and by a happy accident of chance, the linear B tablets were preserved by baking in the fire. 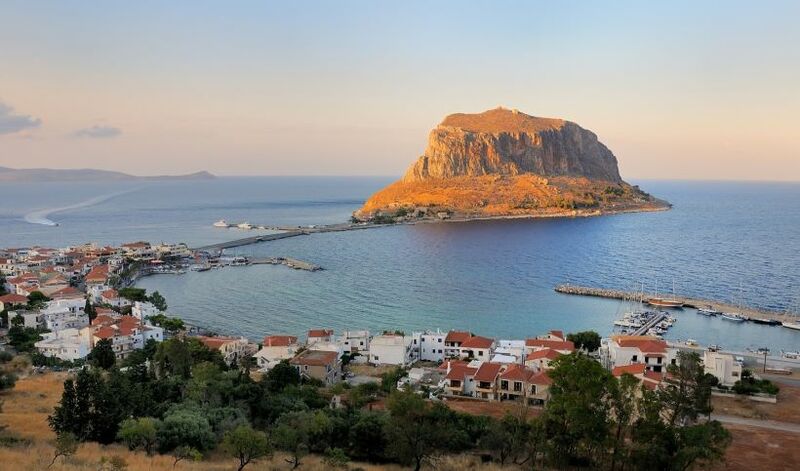 Spending the day in and around Pylos, visiting the Venetian castle at Methoni, the Mycenean palace at Pylos (called the Palace of Nestor, the garrulous old advisor in the Iliad), and the Pylos Museum. The Palace of Nestor was first excavated by Carl Blegen of Cincinnati in 1952 and was destroyed by fire at the end of the Mycenean period (around 1200 BC). It is quite a bit smaller than Mycenae, and it is here that the first Linear B tablets found on the Greek mainland were discovered in 1939.